I have had quite a few injuries before but I consider myself lucky to have never hurt my knees. 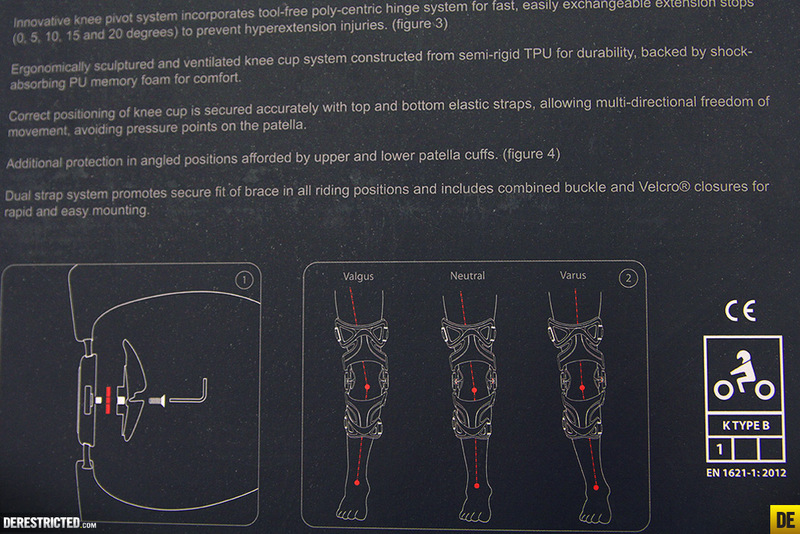 Since I am not getting any younger I figured it was about time to get some proper knee braces as I use my knees a lot! 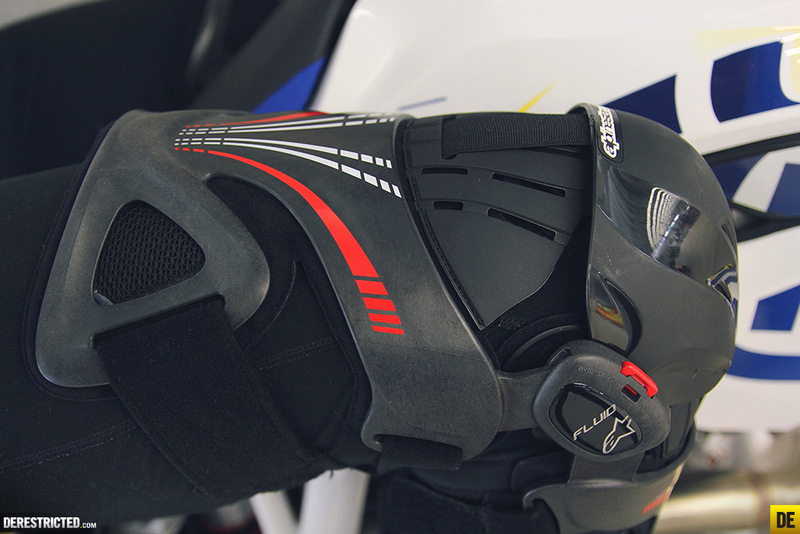 The Alpinestars Fluid Tech Carbon Knee Brace are priced about the same or cheaper than offerings of similar quality and are also really light. The first time you put the braces on you feel like a superhero! Bionic man. 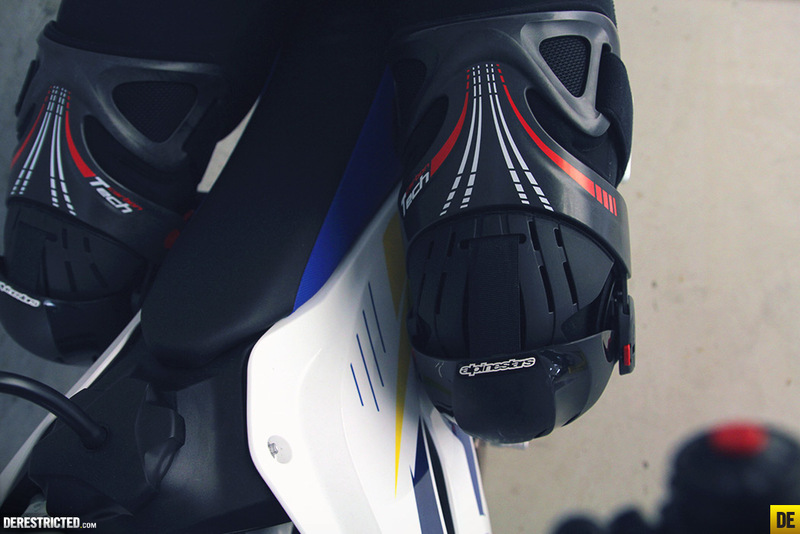 I wore DH kneepads in the past when riding MX because the knee braces I tried were always too annoying to ride with. They hurt, I couldn’t grip the bike properly and they felt too heavy, so I always went back to Knee pads. These bad boys are super light, actually helped me to grip the bike even better than with my old knee pads and seem solid enough to provide good protection in the event of a crash. They protect you from lateral damage as well as hyper extension and have loads of different configuration options. 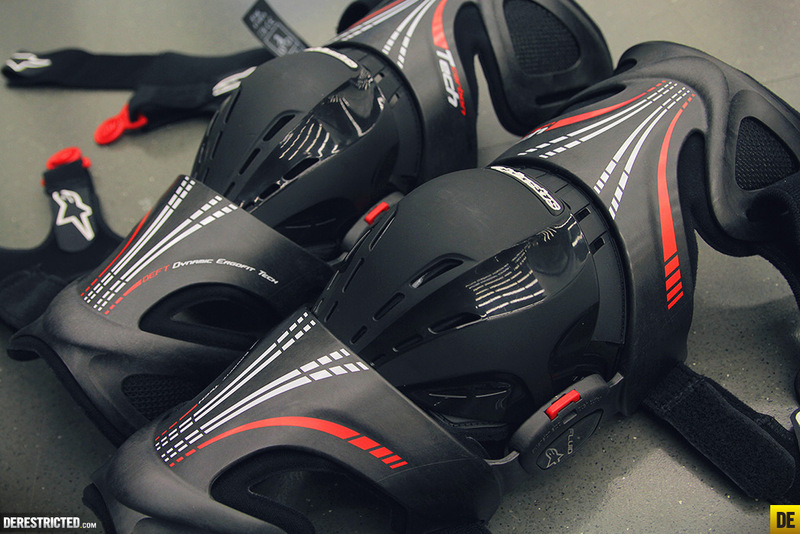 They take a little bit of time to setup initially, partly because of all the velcro straps, and partly because there are so many options to ensure that you get them setup perfectly for you. Once you have the velcro straps all dialed, you just clip them on and off with the plastic buckles and the wide single velcro straps at the top and bottom. They are sold separately, I guess because they are expensive, but I cant really see the point in only having one, unless you dont mind hopping around on one leg after a crash. The carbon polymer compound is a work of art. You can take that little red insert out and put in another one depending on how much you want your knee to be able to flex as you can see below. All those pieces are included with the brace. You can see the sizing above if you want to order some online. Sorry for the rubbish iPhone shot above, it is the only photo I have of me wearing the knee braces so far but I just wanted to show you how low profile they are. This was actually the biggest surprise to me, that combined with the leather inside the knees of my riding pants, the braces actually aided my riding by providing a really solid surface to grip the bike with. They feel pretty low profile, not too bulky at all. The only place they felt a big big was on the middle of my upper thigh, but it’s not a contact point to the bike so wasn’t an issue. I did find I had to stop and tighten the upper strap during my first ride to get it a bit tighter. On the 2nd ride I made sure it was tight enough before I went out and it was fine the whole ride. As with most knee braces you need to wear some special long socks or undersleeve protection because otherwise you can get some chafing, especially on all day rides. 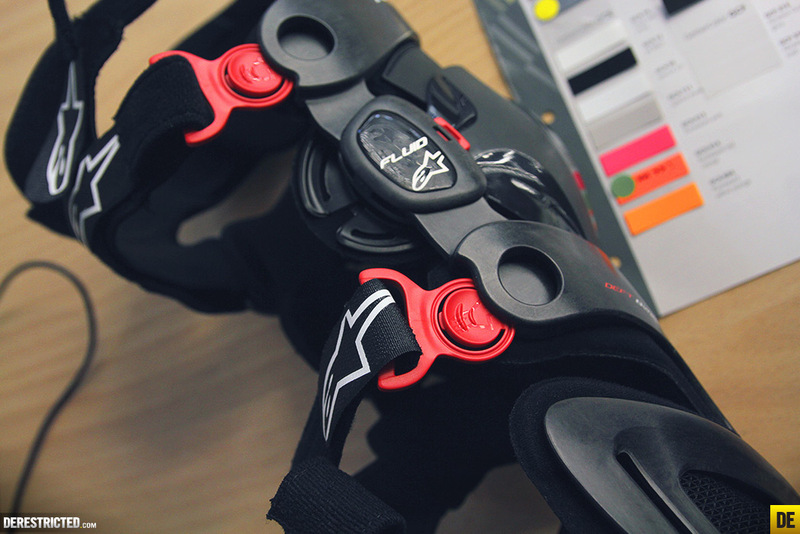 The Fluid Tech helps reduce the risk and severity of knee injury by preventing excessive hypertension of the knee in the event of an accident. 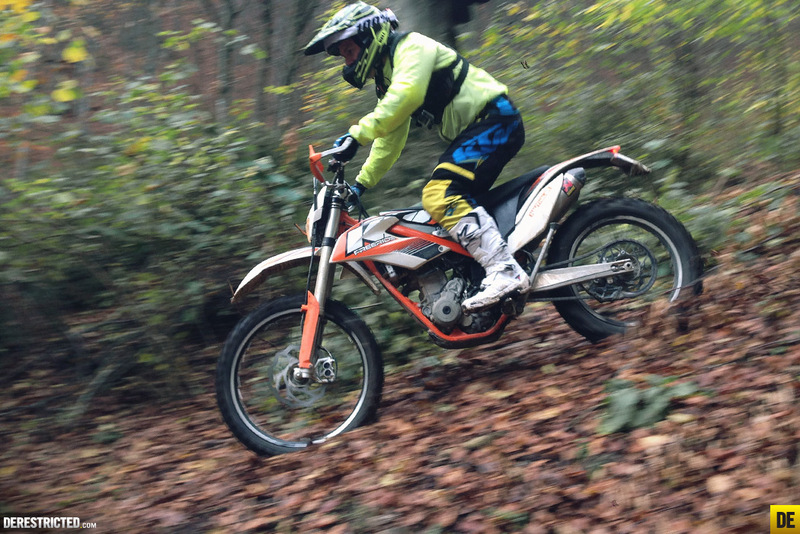 Thanks to innovative engineering the Fluid Tech is ultra-lightweight and offers a highly customizable and secure fit, while affording improved directional movement of the knee articulation while riding. * CE Certified to EN 1621-1 (K type B), and is extremely lightweight, strong and is constructed from an advanced, high-performance carbon polymer compound that retains its performance attributes extreme warm or cold weather climates. 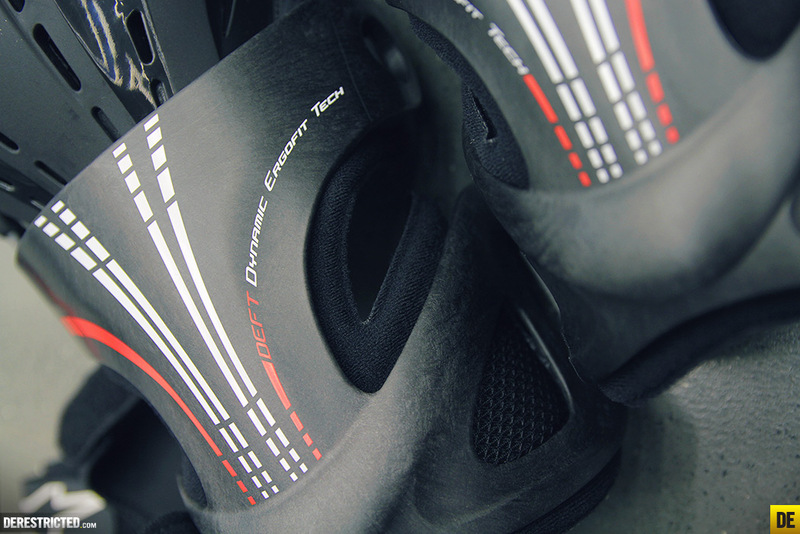 * Incorporates DEFT – Dynamic ErgoFit Tech – an innovative, reduced material design construction for improved weight-saving and excellent ergonomic performance. 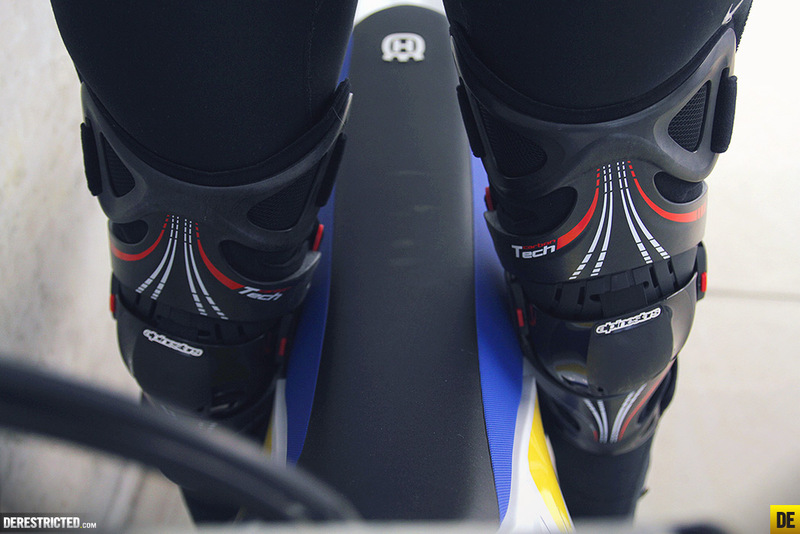 * Innovative knee pivot system incorporates tool-free poly-centric hinge system for fast, easily exchangeable extension stops (0, 5, 10, 15 and 20 degrees) to prevent hyperextension injuries. 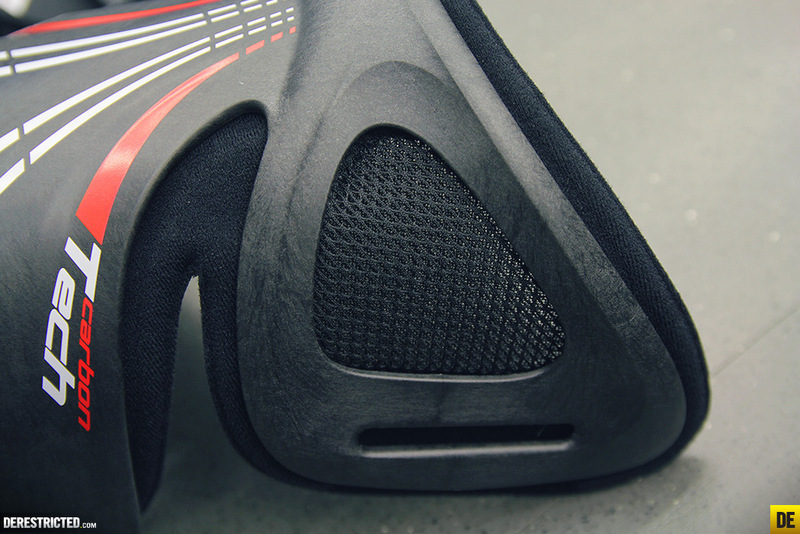 * Ergonomically sculptured and ventilated knee cup system constructed from semi-rigid TPU for durability, backed by shock-absorbing PU memory foam for comfort. 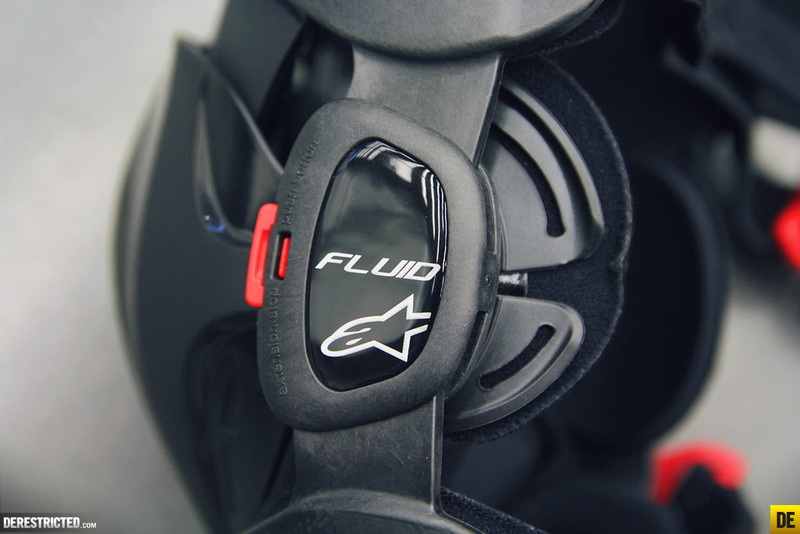 * Highly ventilated, channeled padding and mesh zones for superb airflow cooling. 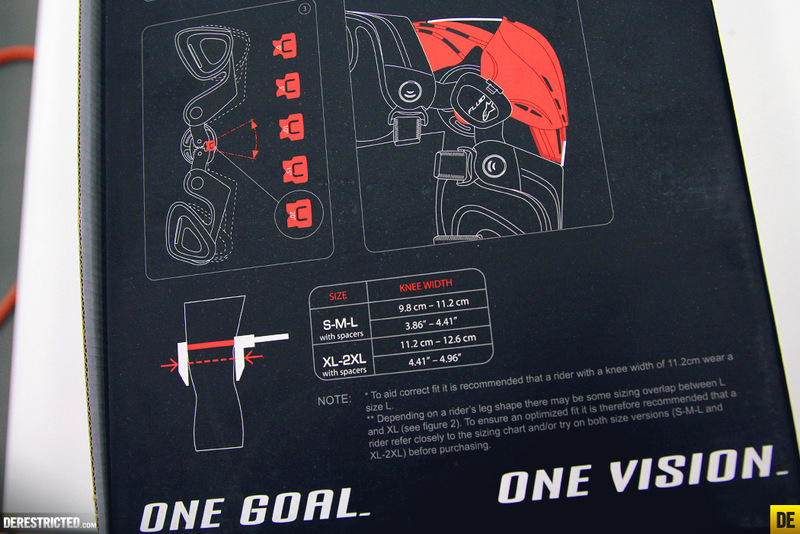 * Customizable, versatile and secure fit afforded by size adapter system (size ranges S-M-L and XL-XXL). * Fine-tuning of personalized fitment offered by knee width adjustment spacers (1mm, 2mm and 3mm, both sides), supplied as standard. * The Fluid Tech comes with anatomically optimized ErgoFit spacer kits for improved directional articulation performance and position stability. 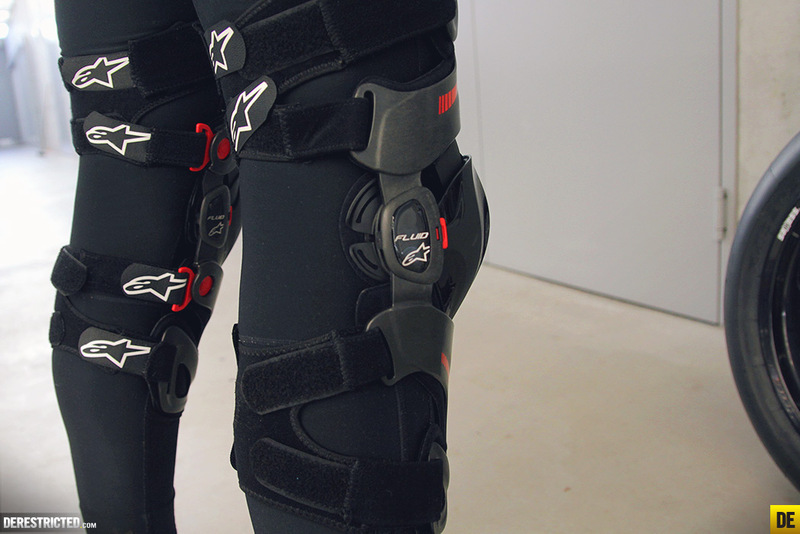 * Correct positioning of knee cup is secured accurately with top and bottom elastic straps, allowing multi-directional freedom of movement, avoiding pressure points on the patella. 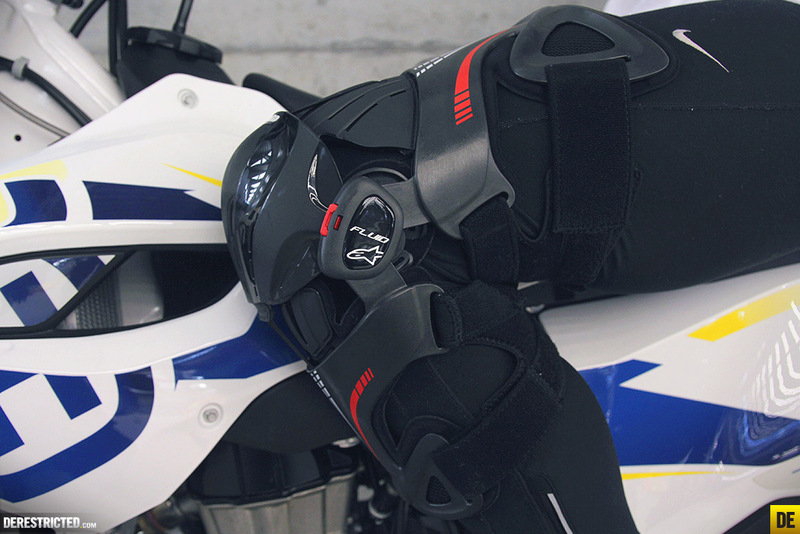 * Dual strap system promotes secure fitment of brace in all riding positions and includes combined buckle and Velcro® closures for rapid and easy mounting. Like all good knee braces they are expensive, but If you value your knees they are a pretty solid investment in your future. 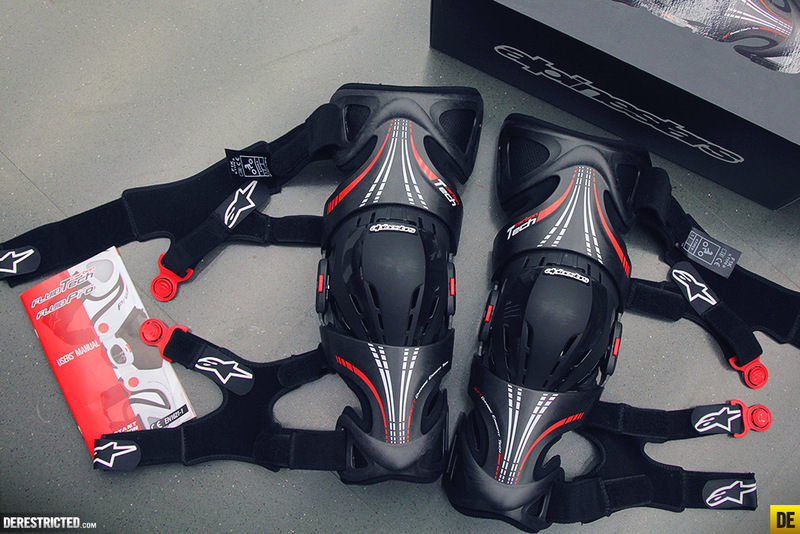 I am using the Bionic Sx knee protector from Alpinestars, whenever I upgrade, I will take this! Is this $349 for a pair or single? Conrad Gerstner Ooops! that is big time costly! kind emberassing putting them on in the pits, right? I am from Brazil and a have bought a pair of fluid alpinestar. I fell at the racing and one has broken the plastic part above. Now I cant buy just the plastic to repair it, then I didn’t like. Did you try contacting them to see if they will replace them?